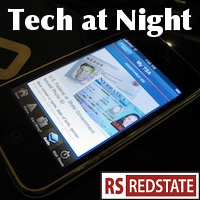 Tech at Night: The pre-inauguration slump. The anti-SOPA coalition is feared. Slow month so far. Last Tech at Night was quick, and so will this one be a short trip through my browser windows. The anti-SOPA coalition could return, because it’s the one weird time that the left wing also seems to have an anti-regulatory element to it. Legislators are right to fear it. I like this: Darrell Issa investigating FTC and how its Google investigation leaked just so much to the public. Whose agenda was served there? Is there a privacy crisis? I don’t think so. Until people actually start taking proactive steps to protect their own privacy, then there’s no crisis because there’s no urgency. Dumb Democrat idea of the day: mandated wireless interoperability, which means you’re really mandating phone interoperability, which means higher costs and lower battery life for all! Hooray! Good night, and I’ll use this moment to plug Awesome Games Done Quick, a charity marathon benefiting the Prevent Cancer Foundation, put on by Speed Demos Archive. It’s a good marathon for a good cause. Make sure to catch Zelda II: The Adventure of Link on Friday, run by Feasel. I’ll be one of the two commentators on that run.